Are you interested in knowing more about ecotourism in Ireland? There is a growing awareness of the benefits to local communities in Ireland of engaging in activities that relate to ecotourism. Read my introduction to the fascinating, haunting Burren landscape: interpretative-information-on-the-geopark-that-covers-natural-heritage and more! There is also excellent information here. Check out the many ways of getting here too! How do you get around though? Have you considered using an electric car? If you own one or can rent one, click here for a map of the e-car charging points. Or, use public transport. The latter link leads you to free local tour bus services, local buses, and regional bus routes as well as cycle providers, coaches and e-car charge points. 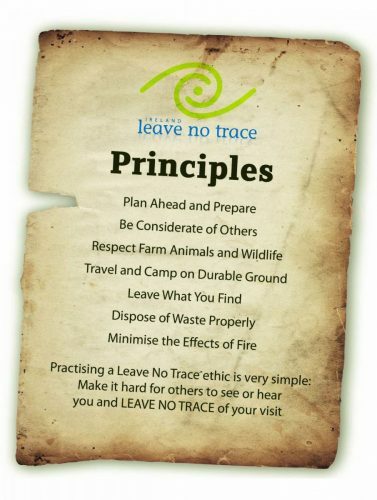 The Burren offers a wonderful backdrop for applying these ecotourism principles. 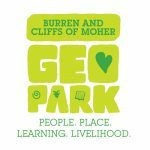 Together with the Cliffs of Moher that border its southern edge, the region has gained global geopark status. This was granted in 2011 by UNESCO. an artist’s paradise….The limestone rocks of the Burren, twinned with the Atlantic light, offer artists endless opportunities for exploring their creativity. the human factor … a rich culture and tradition in Irish music, storytelling and more recently food.